Snakes! Why does it always have to be snakes?!?! Ben found one at our house Friday night. 39 inches. Also, I think, a black rat/chicken snakle. I found my first of the season just yesterday while weeding! 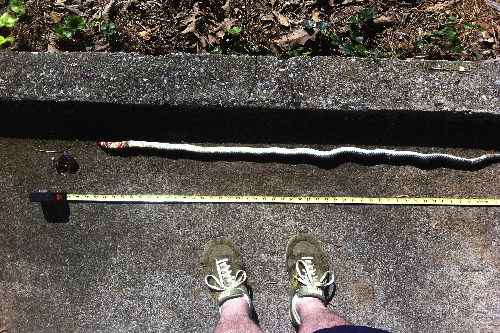 Mine may have been a garter snake–not sure. It slithered away before I could call the expert!